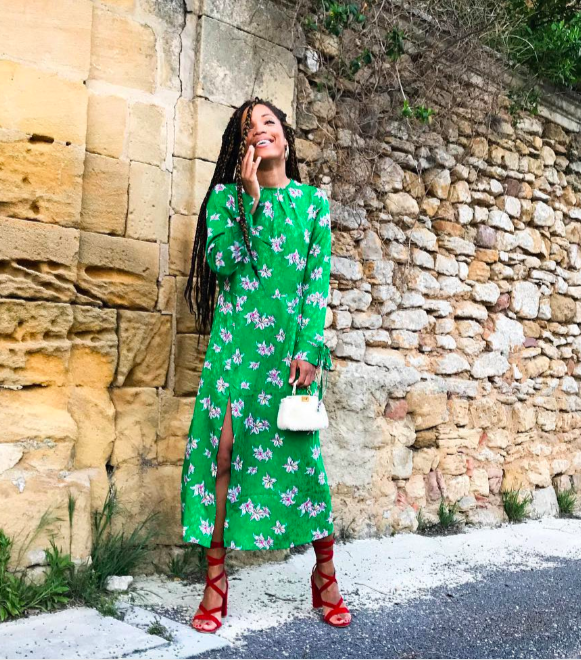 20 Summer Dresses That Are Saying "Take Me on Holiday, Please"
Although a huge part of your wardrobe might be seasonless, there are some pieces that are uncompromisingly made for particular climes. In the same way that an oversized merino wool jumper provides ultimate comfort for hunkering down come winter, a summer dress holds some pretty magical powers when it comes to beating hotter climates. We're talking about styles that you can't even contemplate pulling out of your wardrobe unless it's freakishly, blisteringly hot. A supremely lightweight, delicately embroidered and occasionally skimpy summer dress is all you'll need to be reminded of the last time you relaxed under a clear blue sky. And while summer holidays may be limited, that doesn't mean you don't deserve something beautiful in which to relish the moment. Whether that summer holiday is booked or not, it's nice to go know you've got something simmering away at the back of your wardrobe when the opportunity presents itself. So sit back and imagine where in the world you'll wear the dresses in our edit below. This super-chic column dress demands a wide-brimmed hat to top it off. A sweet little sundress at a sweet little price. There's something pleasingly retro about this zingy, colourful mini. Cotton summer dress dreams are made by Three Graces London—fact. Tanned shoulders will be calling out for these beautiful bow ties in sorbet-like lemon. Just add a basket bag and you're beach-ready. It's all about the button-through dress this summer. Those stripes! That palm tree print! Those thick black straps! The ultimate "throw on over a bikini" dress. Live la dolce vita in this exquisite dress. We could easily pretend to be Kate Moss in St. Tropez in this. Wear with sandals on the beach and sneakers in the city. A classic black dress to see you effortlessly from the beach to the tiki bar. This midi dress was made for the beach, but wear it also in the city with a white tee underneath. Tropical doesn't have to be bright. Next, discover the shell jewellery that will give you that holiday buzz.